One of the main advantages of a company that decides to sell shares or bonds through the market is self-sufficiency. In other words, the company itself sets the terms and conditions for borrowing money, which must be agreed by potential investors. So the company sets the price and number of shares it wants to sell. Otherwise, if the company wants to borrow money from a bank, the financial institution sets the terms regarding the maximum amount that can be borrowed and also sets the credit cost. The first step that a company must make, in this case, is assuming the obligations of a listed company. In other words, become a public company, with certain obligations regarding its economic transparency. The next step is preparing the public offering, prime condition for listing, which can also be done for listed companies longing for additional financing. After completing this step, the shares are being put for sale and, in maximum two months from the completion of the transaction, the listing will take place. Already listed companies can finance themselves from investors by increasing their capital. 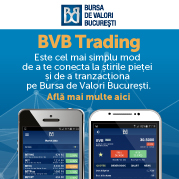 This method, used more and more often on the Romanian stock market, can be put into practice either by capitalizing the profit from previous years, which implies issuing free shares, either by raising new capital by issuing shares that can be bought at a price usually lower than the market price. identifying what possibilities the shareholders have in order to retreat from a company and to receive the fair value of their stocks. upgrading from an alternative trading system to the BVB system. the conditions needed for the un-listing procedure. consulting regarding the elaboration of business plans.